American Bridge is among a constellation of Brock-backed groups that raised $65 million over the past two years, and spent heavily in support of Hillary Clinton’s presidential campaign. In the waning days of the race, American Bridge’s nonprofit arm spent $200,000 on an unsuccessful effort to encourage women to come forward with allegations of sexual misconduct against Mr. Trump. And since Mr. Trump became president, Mr. Brock’s groups have focused on attacking Mr. Trump and his Republican allies, floating the idea of creating a fund to encourage victims to bring forward sexual misconduct claims against Republican politicians. But American Bridge did not contribute to Mr. Avenatti’s efforts, because the group’s leaders concluded it was not a good use of their money, the two Democratic operatives said. 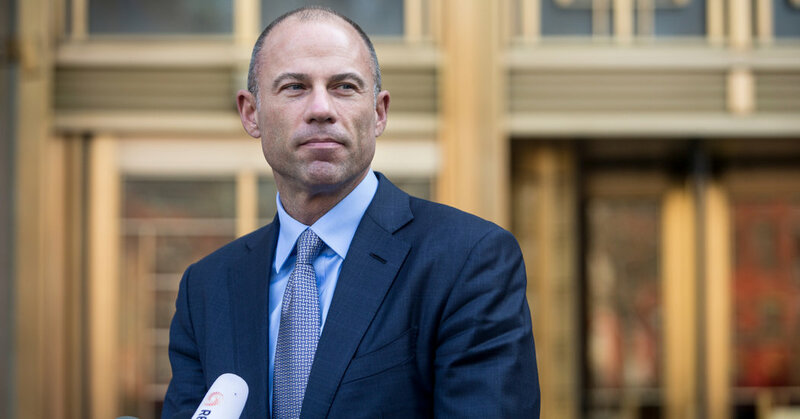 Mr. Avenatti was referred to Mr. Brock’s groups by Mike Berkowitz, a political adviser who works with Rachel Pritzker, heiress to a Hyatt hotel fortune, and other donors, according to the two Democrats and another person familiar with the sequence of events. Someone from Mr. Avenatti’s firm reached out to Mr. Berkowitz seeking assistance for Ms. Clifford’s case, but he did not relay the request to Ms. Pritzker or any of the other donors with whom he works, and instead recommended Mr. Avenatti reach out to Mr. Brock’s groups. Mr. Beychok acknowledged that Mr. Avenatti called him in early March but declined to describe their conversation. Mr. Brock and Mr. Berkowitz declined to comment. Mr. Avenatti said he did not recognize the names of Mr. Beychok, Mr. Brock and Mr. Berkowitz, but did not dispute that he or his associates may have reached out to them. Susie Tompkins Buell, a prominent Clinton donor who gave $500,000 — later refunded — to the effort funded partly by American Bridge to coax Mr. Trump’s accusers to come forward before the election, said she had not heard from Mr. Avenatti.